'Tickling Giants' screens on Wednesday, May 10, at Rialto Cinemas, 6868 McKinley St., Sebastopol. 7pm. $11. 707.525.4840. LAUGH LIKE AN EGYPTIAN Bassem Youssef channeled Jon Stewart to launch his comedy career. Not a term used much in the United States, cinema is sometimes called the seventh art in Europe and Latin America. Coined by Italian writer Ricciotto Canudo in 1919, the designation puts film alongside architecture, sculpture, painting, music, poetry and dance as a tool for expression and storytelling. Borrowing this nomenclature, a new nationwide film series, the Seventh Art Stand, is using film to stand against Islamophobia. In cooperation with Rialto Cinemas, the Seventh Art Stand is hosting a screening of the 2016 documentary Tickling Giants, in Sebastopol on May 10, a documentary that offers a window into the Arab Spring democratic uprisings in 2011. The Seventh Art Stand was conceived and organized by several filmmakers and distributors, and came together a bit randomly, in a good way, says Vivian Hua, a filmmaker, political activist and longtime editor-in-chief at Redefine magazine. "I had started writing a short film about a Syrian refugee family that visits an American Christian family's home for Christmas dinner," Hua says. "I thought because of the current political climate, it would be good to have a discussion series around it." Hua's initial plan to gather faith leaders in a community setting to talk about her film happened at the exact time Donald Trump placed a travel ban on seven Middle Eastern countries, which many opponents decried as an Islamophobic order. Hua shared her idea with Courtney Sheehan, executive director at Northwest Film Forum, and Richard Abramowitz, from theatrical distributor Abramorama, who agreed to show films from those seven banned countries. "Initially, it started as a travel-ban series," Hua says. "But the way that the policies [of the White House] have continued, we decided that the issue was Islamophobia." From there, the project took off, and now the Seventh Art Stand boasts an entire month of screenings at more than 50 theaters, museums and community centers in 25 states throughout May. The critically acclaimed Tickling Giants is certainly one of the Seventh Art Stand's more light-hearted selections, though it is still a powerful look into a world many have never experienced. The film follows Bassem Youssef's transformation from heart surgeon to television star. 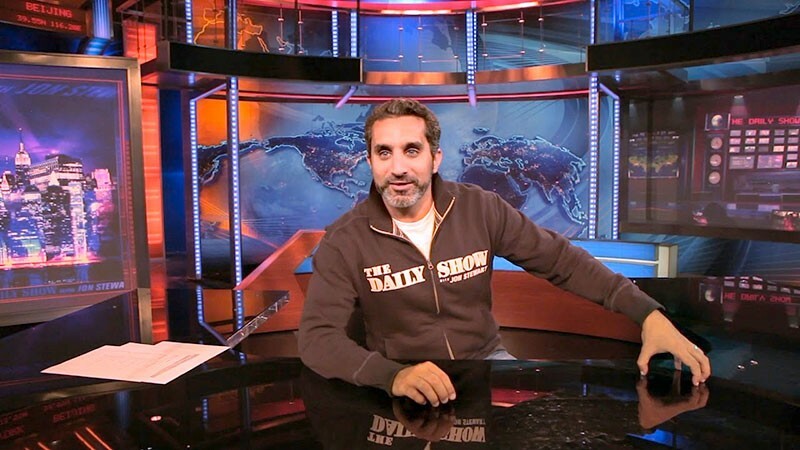 After watching Jon Stewart on The Daily Show, Youssef created Al Bernameg, the first political satire show in Egypt. The show attracted 30 million viewers every week it aired. "What's become really heartening with this series," Hua says, "is the ways the theaters are getting people together and talking. Which is the way to make real change."